Na Nach Nachma Nachman Meuman: Why doesn't Saba pay his mafitsim? To turn them into "Levites"
Why doesn't Saba pay his mafitsim? To turn them into "Levites"
Folks, this is VERY ILLUMINATING. Why would anyone NOT want his employees to get paid? Isn't that by definition slavery and didn't we leave Egypt because we aren't slaves? If you like me started reading the Tanach each day like/when President Ruven Rivlin asked (we will finish just in time for the 70th birthday of the State of Israel) then today you would have reached the sin of the Golden Calf 32:4 "and he took from their hands and put it in a 'HereIt' and they made a molten calf and they said, these are your Gods Israel that took you out of Egypt". Likutey Moharan 123 says that 'If the Tzaddik says left, it's left and right is right, you must not question him. That's the basic "University Course" Rabbenu 1,2,3. In other words...you are my slaves! Passage 32:32 is where the name of Rabenu appears (heart:heart in Hebrew)..."AND YOU IF YOU WILL CARRY THEIR SIN AND IF NOT PLEASE ERASE ME FROM YOUR BOOK" Read backwards "you will comfort me" which is "Nachamo Nachamo (comfort comfort) my people" "A man will not be missing" and it goes on, "he who sinned against me I will erase and you go and comfort the people that which I told you here, my angel goes before you and on that day 'pakdi ou pakadti' on them their sin. And G-d punished the people for that which they did to Ahron." The words 'Pakad Pakadeti' are precisely the words that were used when G-d made 70 tribesmen of Jacob promise to Josef they would take him out of Egypt. 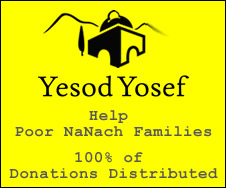 RABBI NACHMAN IS THE CURE FOR THE BETRAYAL OF JOSEF FOR GOLD and this is proven here. IT HAS NOW BEEN PROVEN THAT BRINGING RABBI NACHMAN WILL REESTABLISH THE HOUSE OF JACOB, RABBI NACHMAN IS OUR CHANCE TO KEEP OUR PROMISE. Please re-read this until it sinks in.